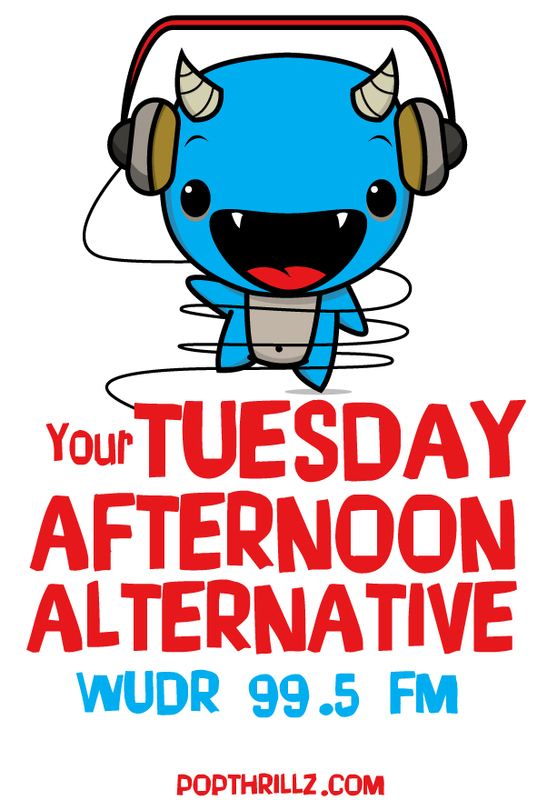 Your Alternative Tuesday Afternoon Returns! Mrs. Dr. J returns back to the studio for an all new YTAA! We will be playing quite a bit of new stuff! Expect music from Guided by Voices, Boards of Canada, The Last Royals, The Lost Patrol, Zach Bellas, Hausu, Goldford, The Weathervanes, The Brothers Kaschak, Jay Arner, Luke Frazier, Iggy & The Stooges, The 88, The Purrs, Said The Whale, Surfer Blood and Churchill — to name a few of the cool items that we are playing. Expect another fine installment of Mrs. Dr. J’s Summer Dance Party! So get ready to dance! As always, let us know what you would like to hear via this page or drjwudr on twitter! See you tomorrow at 3pm on wudr.udayton.edu! Your Tuesday Afternoon Alternative is celebrating our last show of our birthday month! 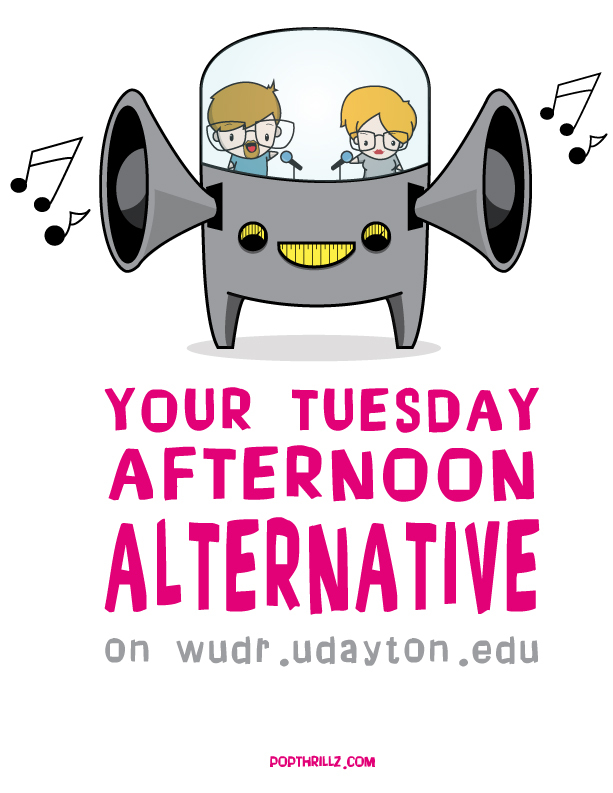 Join us Tuesday 3-6pm on wudr.udayton.edu as we debut new music from Okay Lindon, Holopaw, Guided by Voices, Neal Young and Crazy Horse, RobtheBank, Swear and Shake, Dear Fawn, Human Cannonball, The Motel Beds, Glen Campbell, and so much more alternative, indie, and great local music. Expect some very rare music from The Connells, Mike Ness of Social Distortion, and a few other surprises. Dueling covers this week will be between Uncle Tupelo and The Punch Brothers doing the classic, Moonshiner. We will be playing some local R&B and Rap with Dayton’s own Mission Man. His new album M, is out now! Join Dr. J and Mrs. Dr. J as we celebrate our last show celebrating 8 years of playing some of the best independent and Dayton music on wudr. Check out the YTAA Facebook page! Explore Dayton: Explosion of Local Music! It is often assumed that there is no local music scene in Dayton. Dear music fans, nothing could be further from the truth! We have a literal explosion of new music from bands of numerous musical genres, approaches, and styles happening right now. Once the Gem City was considered the post-punk haven for groups such as Guided by Voices, Branniac, and The Breeders. Dayton has a long and significant music history of which the post-punk wave was but one trend in local music. Today, we have bands playing in almost too many genres and styles to count. We have new music from The Fair Shakes, Bonneville, We Were Animals (from the previously power-pop dream of Ed vs. Radio), Vanity Theft, The Rebel Set, The Story Changes, the horror-rock of Splattertude, Hawthorne Heights, Me & Mountains, Night Beast, Toads and Mice, Motel Beds, Smug Brothers, and so much more. We have many places to see bands and musicians are plying their trade in the Oregon District or throughout the city. If the assumption is that there is no growing and evolving music scene in Dayton, that is simply not correct. As someone who has conducted research on music scenes for several years (do not ask how many, I am just a little touchy about the age thing), I can honestly tell you that Dayton musicians have much to offer you. All you have to do is go listen. You can go to several fine establishments to see bands play most nights of the week in the Gem City. And you should. Come on what do you have to lose except your preconceptions about how the limitations of Dayton music.